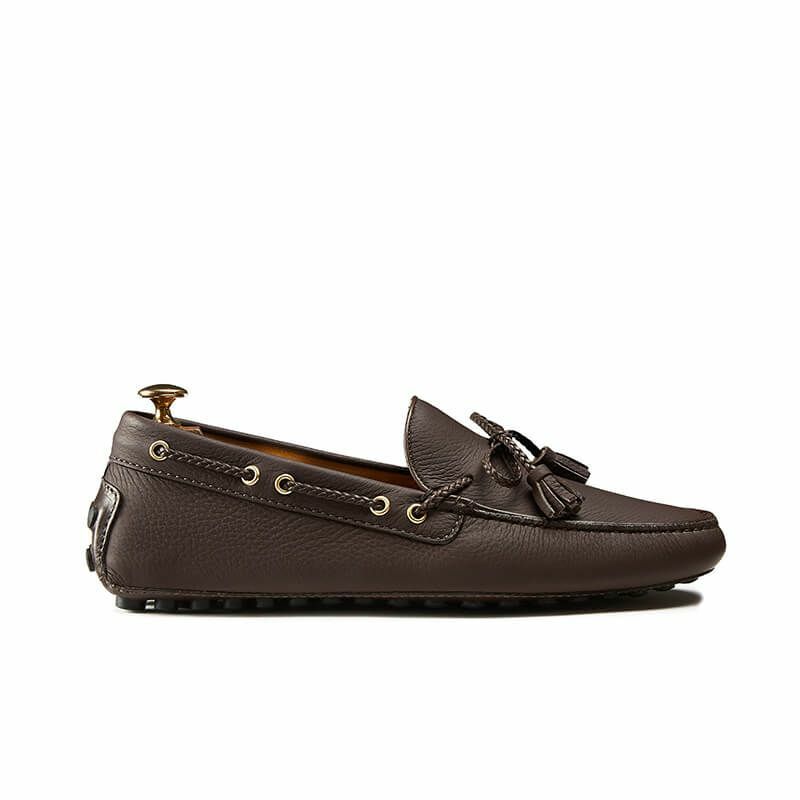 Pure class at your feet with brown deerskin driving shoes with matching laces. 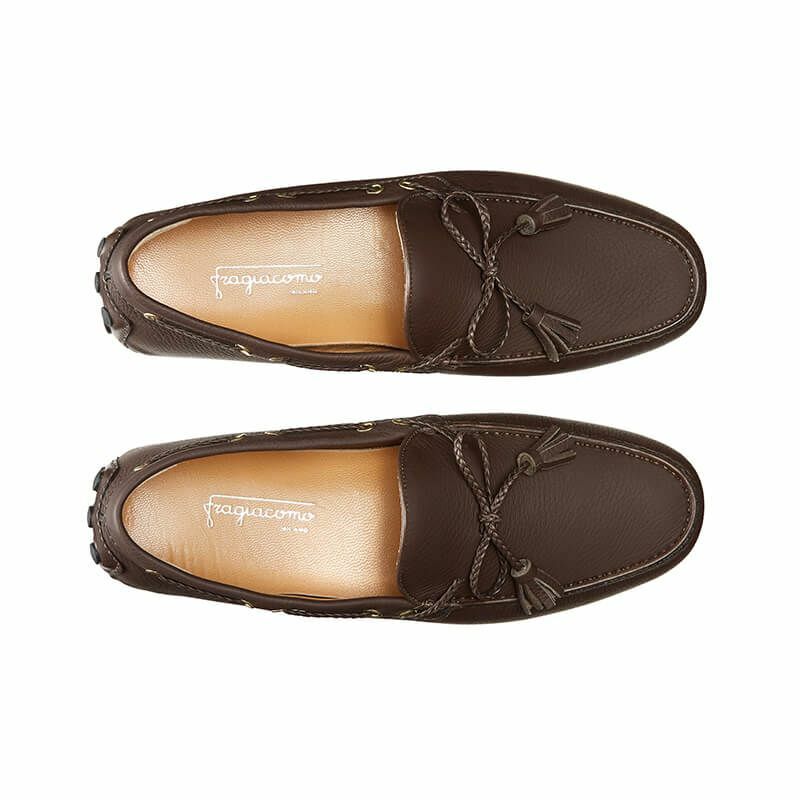 Entirely hand sewn using a tubular technique to ensure the utmost comfort every step of the way, this style represents the quintessential casual shoes that every man should have in his wardrobe. 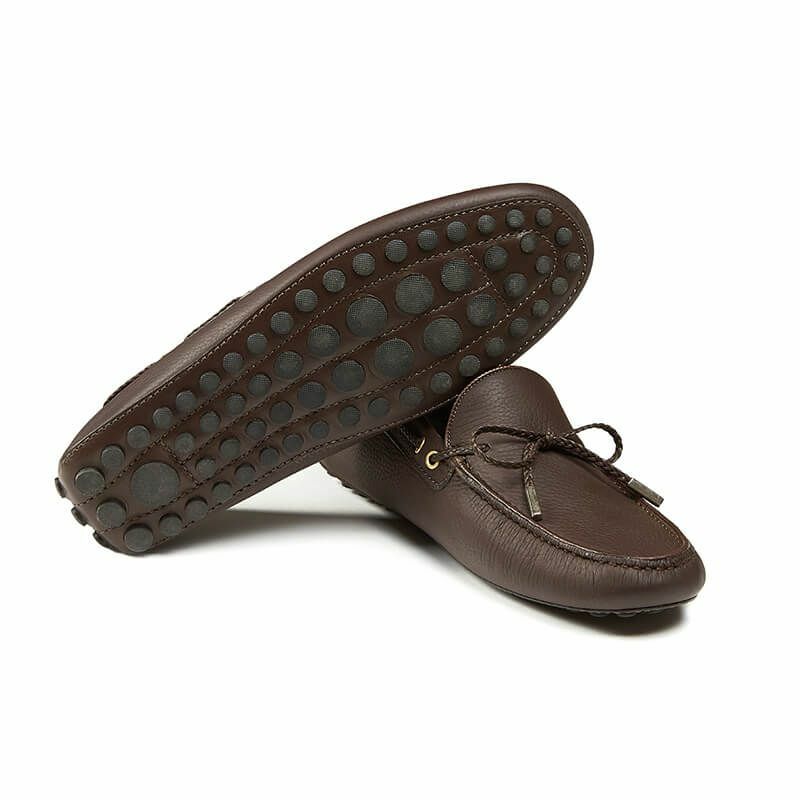 The hand stitching and the design featuring the iconic non-slip rubber pebble outsole inspired by the world of sports cars elevate these driving shoes to a status symbol proudly chosen by entire generations. 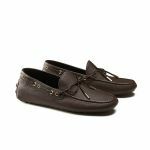 Emblem of casual style, the driving shoes are perfect to dress down formal or business looks, but they give their best when paired with blazers and slacks and casual attires. Worn under a linen shirt and a pair of bermuda shorts, they will be the must-have key piece for your summer days.